The world of pizza is full of age-old rivalries: New York vs. Chicago, thin vs. thick, people who fold their pizza vs. me. 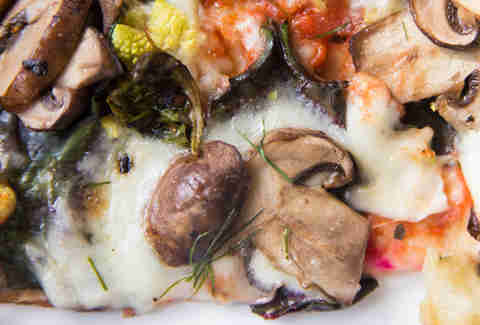 Toppings might be the one aspect of pizza that is truly subjective to personal tastes, which means I'm in an excellent position to make some bold claims. Now you may ask, "What makes this bozo qualified to tell me the best thing to put on my pizza?" Well, I might not be one of these pizza masters, but I have been eating pizza in a professional capacity for nearly seven years. 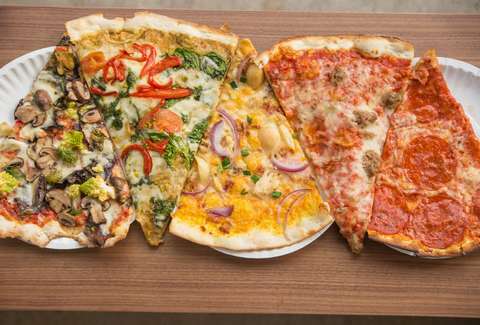 I've spent significant time in the world's three pizza meccas (NY, Chicago, and Italy), tasted every frozen brand, studied the history of major chains and mom-and-pops, and devoured every terrible late-night slice in Austin. Also, when I worked at a crappy pizza joint in college we had contests to see who could toss dough the highest, which I won. Twice. As I see it, I have more pizza credentials than 99% of the country, which makes this ranking of the 26 most popular pizza toppings at least 1% valid. Screw Gingerbread. Behold the Pizza House. I only consume ham in sandwiches and on holidays. Pizza is neither. Broccoli is good friends with many different cheeses, but mozzarella is not one of them. The greatest of breaded and fried proteins, the king of the rotisserie, the creator of eggs both runny and fried. For all this and more we owe the chicken a debt of gratitude to be repaid by never putting it on a pizza, because it doesn't add anything except $3 to the bill. These barely qualify as a pepper. As a textural element I can see the appeal, but the same flavor could be accomplished by rinsing spinach and dripping a few greenish water drops onto a slice. I live in Texas where the only thing we're liberal about is cilantro use, but this just isn't the right herb for a pizza unless you're going full-blown fusion. Let's get this out of the way now: meat in general didn't fare well on this ranking. It's not because I'm a spineless vegan or am taking kickbacks from Big Vegetable, but because most meats overpower a slice and leave a greasy residue that compromises the flavor of the cheese. In short, keep your balls off my pizza. Let's save bacon for where it belongs: on every other food except pizza. Basically the diet version of black olives. Once considered a tropical outsider, the Hawaiian pie is now an accepted member of the specialty pizza canon based purely on the strength of this one topping. But influence alone is not enough to change the fact that I don't want a sweet chunk of fruit on my slice. They add stank and little else. The trade-off for the anchovy's massive umami boost is that it smashes through every other ingredient, making the slice nothing more than a vehicle for salty fish. Not that there's anything wrong with that occasionally, but the strong flavor is just too strong to rank any higher. I love mushrooms, but typically these are so thinly sliced and poorly marinated that all they add is a spongey mouthfeel and earthy aftertaste. The breadth of meats that fall under the category of "sausage" makes this a tough call. Mystery crumbles are perhaps my least favorite addition to a pizza, but a nice chunk of oregano-spiced sausage makes a simple slice feel like a meal. 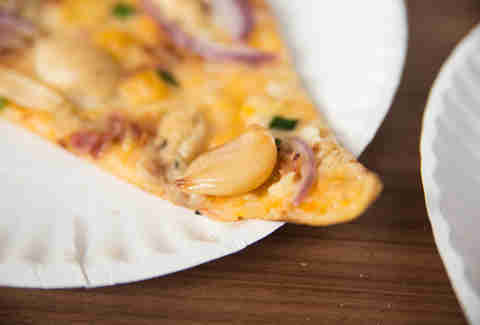 Vampires and French-kissing experts might disagree, but roasted garlic adds a welcome, pungent punch to a traditional pizza flavor profile. It could be argued that red pepper flakes achieve the same goal without a surcharge, but the spice of a fresh jalapeño just can't be emulated in dried form. Jalapeños are far less appealing pickled, but still put green bell peppers to shame. 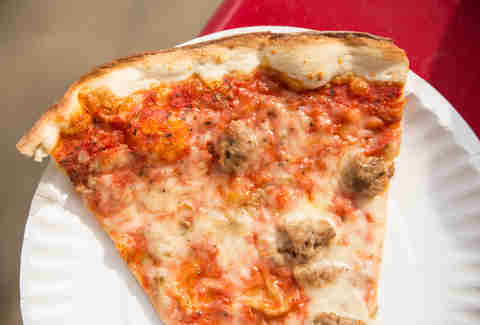 I love a slice of a Roma because it complements the sauce and adds some body. Spinach plays well with tomato sauce and is relatively healthy. I didn't enjoy olives until I was old enough to rent a car, and I suspect I'm not the only one who took 25 years to appreciate the funky complexity. The sharpness has the potential to overpower milder cheeses, but a nice thick mozz benefits well from the extra layer of salt. The risks and rewards are doubled in the case of kalamatas. It's about as crunchy as its green cousin, but actually has flavor. Salami is like pepperoni's louder, more opinionated big brother that just got back from studying abroad and wants to cheek-kiss everyone hello. But it's so delicious that you let it. Pizza and pickle rarely collide, but banana peppers make a solid case for their continued marriage. No other vegetable offers quite the burst of flavor as a sun-dried tomato. I consider it an "event topping" that slows down the eating process and forces you to enjoy each bite, rather than just setting your teeth to autopilot and mindlessly making a slice disappear. 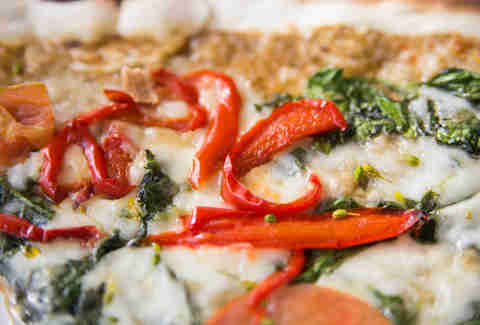 Pizza shops typically divide their non-meat toppings into two distinct categories: plebeian veggies like bell peppers and more expensive glamour vegetables. In the case of artichoke, that extra dollar goes a long way. It isn't as powerful as most of the other vegetables on the list, its piquant nuance makes it more of a supporting player. If it could shoot the three, it would be the Steve Kerr of toppings. This was almost rolled into the ham category, but they're truly different beasts. The curing process adds salt without the sickliness, a silky textural element, and kills the Easter Sunday aftertaste found in other hams. 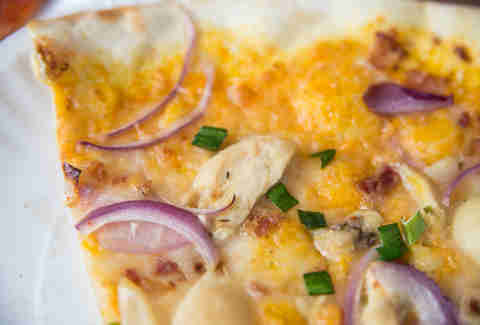 It also adds a distinct air of grown-up-ness to an otherwise childish food. 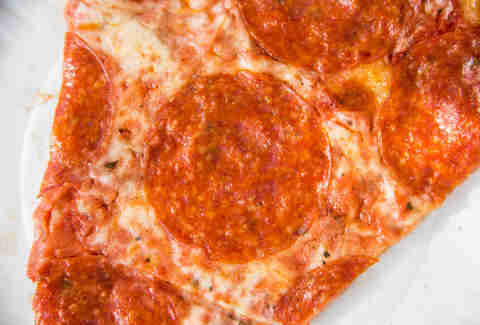 Italian purists might scoff at heaping such praise on a foreign-born topping and everyone else might yell at me for not ranking it number one, but pepperoni is number two because it perfectly represents the gluttonous side of pizza. Gluttony is one of pizza's two faces, the other is Old World elegance. Let me paint you a picture of a wood-fired oven on a rolling Roman hillside. There is a sunset that belongs on the side of a bottle of EVOO, insects of unidentified origin chirp but don't bite, and a beautiful woman with an olive complexion pours another glass of red wine from a bottomless decanter engraved with your initials (how did she know?!). She then bites into a piece of pizza topped with... giant red polka dots of beef/pork? Nope! 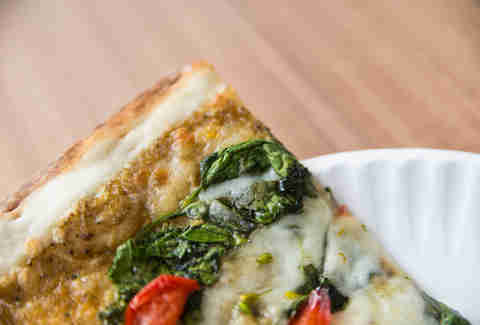 It's basil on that pizza, a simple aromatic herb that brings out the natural sweetness of the tomatoes, doesn't hog the spotlight from the dairy, and makes an otherwise unhealthy meal taste like something that will make you live forever. It's an aspirational topping that elevates and refreshes even frozen slices like no other topping. Dan Gentile is a staff writer at Thrillist. He loves pizza and hates freedom. Follow him to more controversial topping opinions at @Dannosphere.